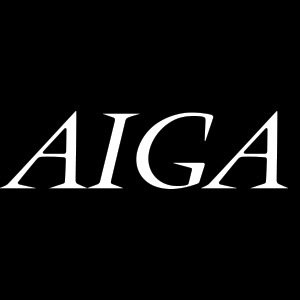 AIGA advances design as a professional craft, strategic advantage and vital cultural force. As the largest community of design advocates, we bring together practitioners, enthusiasts, and patrons to amplify the voice of design and create the vision for a collective future. We define global standards and ethical practices, guide design education, enhance professional development, and make powerful tools and resources accessible to all. Meet the demands of the design community. Professional development never ends. Whether you’re green or seasoned, AIGA DFW will be a resource to make sure your career is continually improving and motivating. This year, our chapter will not only continue our commitment to giving emerging designers the tools they need to succeed, but we will also increase our efforts to represent and provide programming that specifically appeals to mid- and senior- levels as well as other affinity groups in the community. 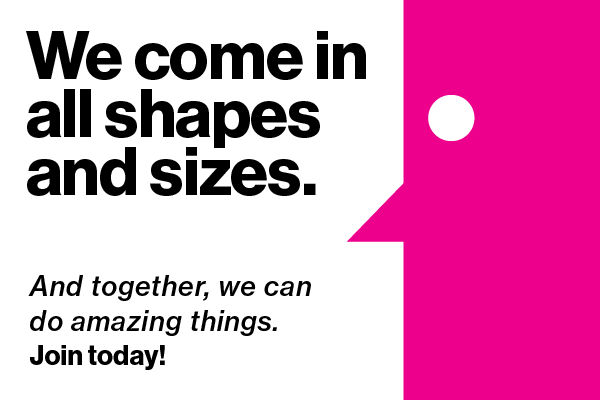 Make a better mark in the design and business community. One of our goals last year was to make a mark in the design community on a national level — and we did in the eyes of the other 65 chapters. This year, we continue to work on that goal, with focused attention on impacting the local design community by increasing awareness about AIGA DFW’s presence and how AIGA memberships are investments in our careers and professions. It is also our responsibility to provide you with opportunities to take advantage of the value it offers, as well as to be certain everybody who comes in contact with AIGA DFW — in design and business communities — realizes the importance and the value of our organization and our members. As part of our focus on increasing awareness of design and its value, to the business community, society and culture, it is our responsibility to reflect best practices — as individuals as well as an organization. We aim to be a model organization, in our structure, operations and transparency. It is also our responsibility to communicate and adhere to the national standards of business and ethics set forth by the national organization. Provide a channel for engagement. AIGA DFW is 100% volunteer-run. We aim to continue and develop ways to empower, recognize, and reward the importance of their dedication, as well as foster and encourage their ascension to leadership positions within the organization, with the added benefit of gaining valuable leadership skills and experience that can grow career development. 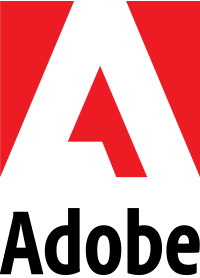 We also aim to change the structure and engagement levels of what we used to call “sponsorships” with a new “partnerships” model, working closely with our partners in crafting relevant and rewarding programming to the greater design community. Communicate the value of design to the community. We will produce our own programming and support national AIGA efforts to demonstrate how good design benefits businesses, organizations, brands, and communities. We will look outside of our typical areas of practice to find new areas of inspiration and collaboration, broadening our horizons in everything we do, be it programming, governance, membership, communication, or sponsorship. Last year, our chapter made significant progress in growing the national Design For Good initiative in DFW, enabling our members to develop their leadership skills and make a significant impact in the community. We plan to continue the growth of that initiative through partnerships with other organizations with similar focus. 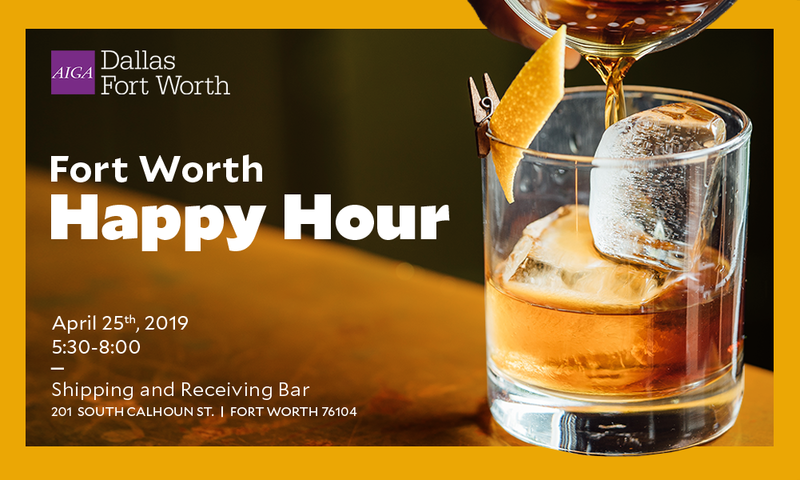 Our April happy hour is coming soon to Fort Worth! It's patio season so join us at the Shipping and Receiving Bar for a drink and some networking.